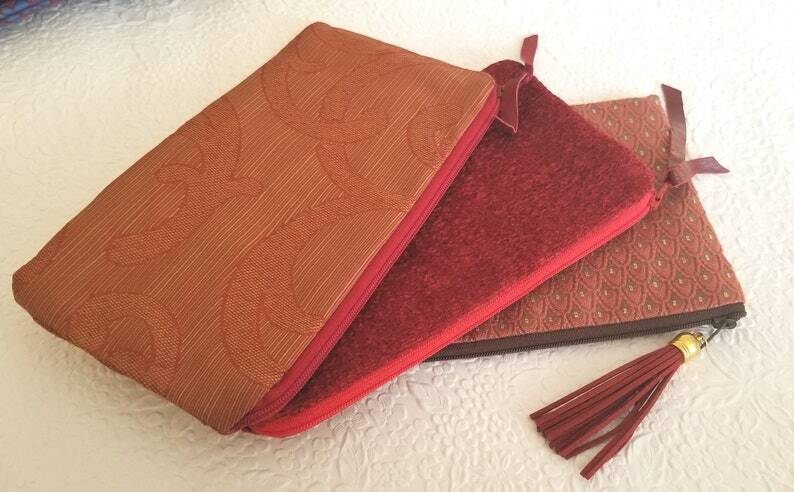 Red patterned upholstery pouches. Has suede/leather zipper pull. All approximately 5 inches x 9 inches.